This series just gets better and better. we’re now on book seven ( I think) and I feel I really know the characters involved. Although each book is complete, there are nuances and plots that overlay the whole series that would make it difficult to get the best out of the read if you’ve not started with the earlier ones. I love Stanzie and Murphy, and have been rooting for them since the first book. I’ve shed lots of tears for Stanzie. It took a long while before they worked things out, thrown straight into danger and advisor roles as they were. Now they act as a solid unit even though they both carry different roles for the Pack. Stanzie has grown in confidence so much since those early days, and yet sometimes I can still see her self consciousness creeping in – that feeling of being unworthy that seems to haunt her – I blame her horrific father. He’s gone now though, and she’s come a long way, and with Murphy’s support she’s doing well. I love her sense of “doing what’s right” – I’m not sure how to put it, but when she feels something needs doing, a question needs asking, someone needs challenging, she does it at whatever cost to herself. Sometimes the dangers she faces come as part of her Advisor role investigating curious anomalies and circumstances, but this time she and Murphy are simply having a break, touring the coast, when they come across a young girl alone on the beach. They can’t leave her of course, who could, but once again there’s more than just a simple rescue at stake. Chessa is only about eight, and has been on the run with her father for five years. He blames Celine Ducharme for his bond mate. Chessa’s mum’s suicide, she’d abused their dream connection for her own quest for power, and sent her into a descent of madness. Now he’s desperate to protect Chessa, who has the same abilities, knowing Ducharme wants to link with her as soon as she’s old enough. Until now Stanzie knew nothing of this ability, but is terrified because her cousin Faith is also a Dreamer. Her pack has been isolated from the others for many years, and that’s kept her out of the councils eye, but now she has to tell Great Councillor Jason Allerton about her cousin, and he must report to the Council. Poor Stanzie – her cousin’s heavily pregnant, and now with this news her life could be in danger, and Stanzie feels she’s brought it to their door. Faith is more pragmatic, she recalls when as children she and Stanzie had tried to change the things that she’d foreseen, but it never worked, she sees it now as unavoidable, they can’t change what will happen, only work round it. She’s seen Stanzie, Murphy, Chessa and her father back in Mayflower Pack, where she and her mate Scott are Alphas, for Xmas. Stanzie doesn’t want to risk her but Faith tells her if she’s dreamt it she needs to come. Of course backing this tangled conundrum is the on-going Guardians V Pack First dilemma. Two totally opposed groups that have very different views for the future of the Pack. Guardians want to keep hidden, though they have different ideas about modernising and horrifically some of the more radical ones, who want to totally keep to the old ways, the grandfathers and grandmothers, have been involved in terrible murders of those they feel oppose their aims, including Murphy and Stanzie’s former bond mates and their pack Alpha Paddy ( poor Paddy – I loved him). Most of the pack know nothing about the two factions – it came as a surprise to Stanzie and Murphy, and they have to be careful what they say. Pack First are for modernising, but in a big way – they want to “out” themselves and feel they can bring the Pack to a position of strength in society. Same as the Guardians though there are those who thirst for power such as Ducharme, who’ll stop at nothing and no one to get it – she doesn’t seem to want to be equal to Others, but to rule them, though with pack numbers so small I’ve no idea how she thinks that could happen. We’ve seen in history what happens to marginal societies with witch-hunts and scaremongering, and add to it that commerce will be desperate to run tests on the wolves longevity and quick healing, and it seems to me the wolves would soon be declared a lesser species, and all sorts of atrocities perpetrated in the name of “good for all”, but really just run by the money hungry, commercial entities. Longer lives for example has long been the Holy Grail and there’s be a fortune to be made out of offering that to Others. Once again its an adventure packed read, with emotions being pulled all over, with Ducharme being her usual b itchy, sneaky self ( I do love characters like hers, they add extra to a story), with Stanzie in her usual way getting to the heart of a number of problems, and the reader being led first one way, then another, before we see a solution(s ) emerging. 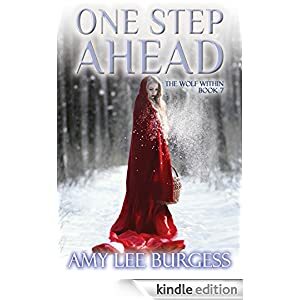 I’ve no idea how Amy keeps coming up with such great stories, but there’s lots more to come out from Stanzie, Murphy and the Pack IMO before the series need end. Stars: Another fabulous Five, a story that kept me gripped, that feels scarily real, and that made me think about the “what if” scenario – what if this was true – how would/could it work out. A great addition to the sereis and one to re read and keep.